The classic sophistication of the Montauk collection brings together the finest elements of traditional East Coast style. 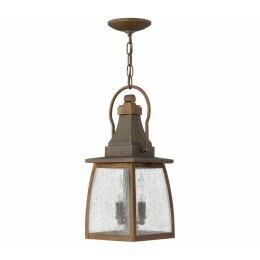 The entire collection, including this elegant 2 light hanging lantern, is made of solid brass and complemented by clear seedy glass and candelabra sockets for authentic appeal. 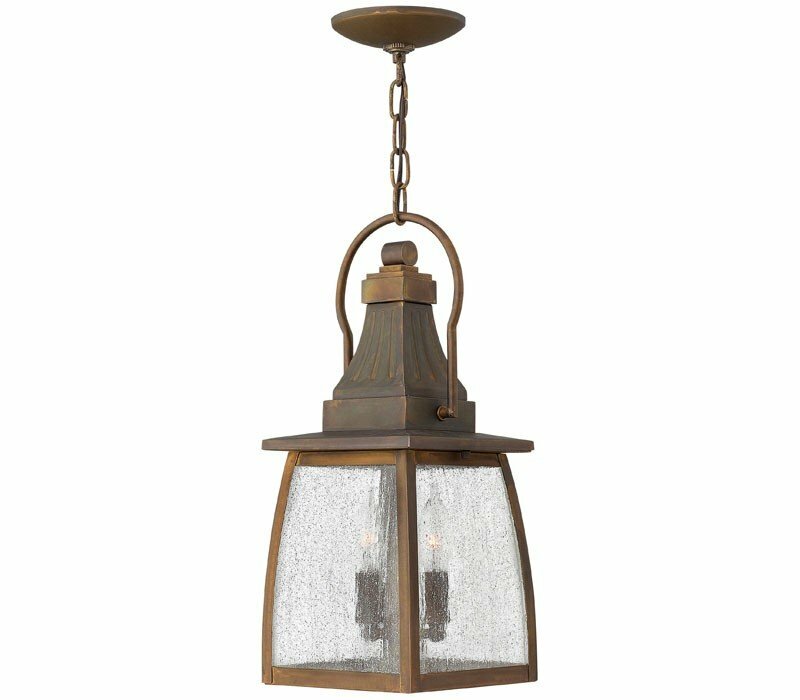 The Hinkley 1202SN Montauk collection Outdoor Pendant Lighting in Sienna uses Incandescent light output and brings Antique style. This item is 17.3"H x 7"W. The wattage is 120. The Hinkley 1202SN requires 2 bulbs (not included). Additional Information: Shade-Clear Seedy Glass.